EXCLUSIVE! 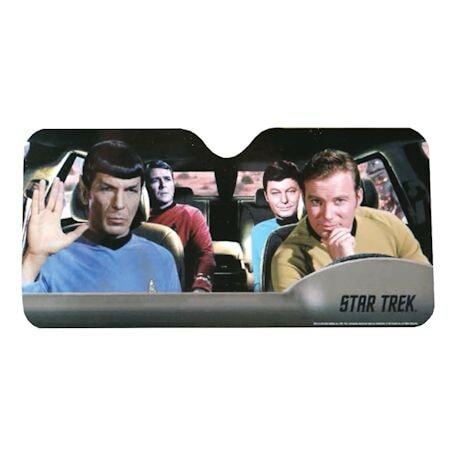 Turn your car into the control deck for the Starship Enterprise, with Captain Kirk himself at the helm, or the steering wheel. 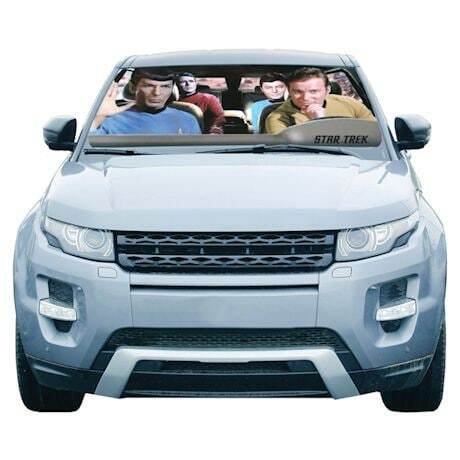 Photo real print keeps your car cool and the sun from fading your interior. Made of metallicized polyester to reflect heat and light. Accordion folds with Velcro strap when not in use. 50" x 27 1/2"